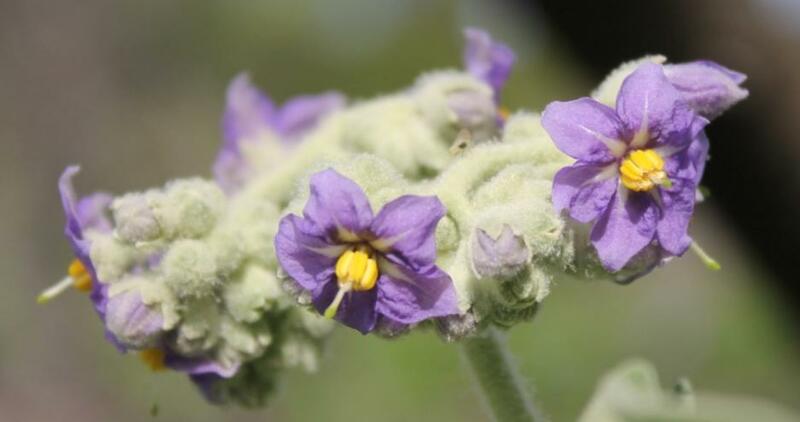 Wild tobacco, solanum mauritanicum, native to South America, including Northern Argentina, Southern Brazil, Paraguay and Uruguay. Although a pretty flowering plant, it has become a widespread invasive weed in Cook Islands, Fiji, Hawaii, New Caledonia, Norfolk Island, Solomon Islands, Tonga, Réunion Island, Mauritius, Madagascar, Australia, New Zealand, India, and several southern African countries. 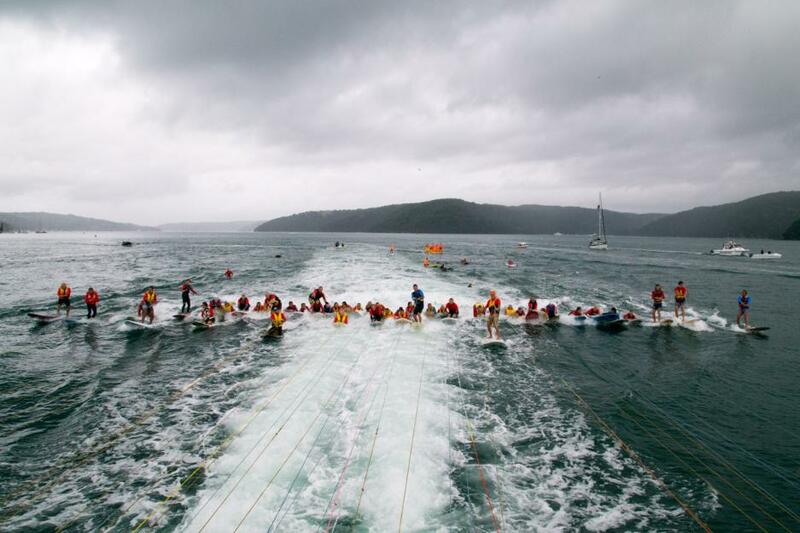 Picture by A J Guesdon, taken this week in Pittwater. In the May-June Cooee - published by Pittwater Council, an updated list of Noxious Weeds Council submitted as a list of environmentally invasive weed trees, shrubs and groundcovers for consideration of elevated noxious weed status. Subsequently, in February 2014, the Department of Primary Industries announced that Weed Control Order No. 30 was gazetted resulting in many of these ‘wish list’ weeds being included in the new legislation. Landholders in Pittwater are obliged to control identified noxious weeds under 5 different Classes and in some cases may be issued with Notices to eradicate targeted noxious weeds. As so many of these flowering stranglers of native vegetation can be hard to identify we thought publishing some images of these may help. Where possible we publish the flower, leaf and seed or fruit pod. 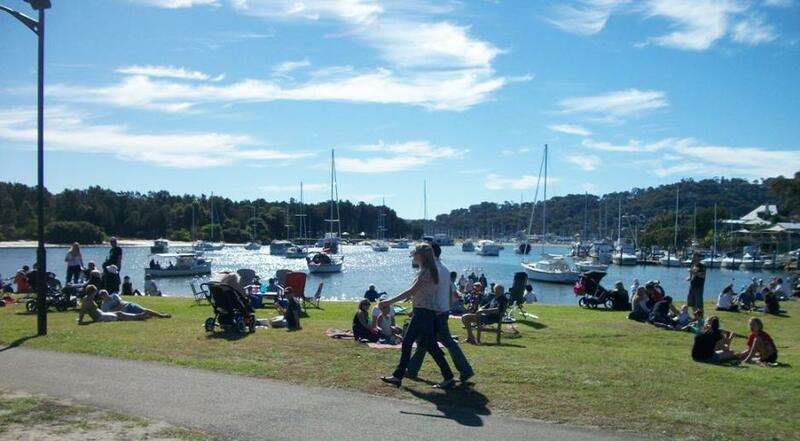 Pittwater Food & Wine Fair at Winnererremy Bay Reserve, picture by A J Guesdon. The 5th Pittwater Food & Wine Fair will take place at Winnererremy Bay Reserve in Mona Vale today, Sunday 4 May between 10am and 4pm. Fourteen wineries together with 4 Pines Brewery, Feral Brewing and Rocks Brewing will be at the Fair for tastings, along with gourmet food stalls. Visitors can also choose from a selection of hot food including Mexican, German, Crepes, Vegetarian, Turkish and Korean to name a few. Some additions to this year’s line-up include the sweet selection by Pittwater RSL and BCD Foods will have cheese platters for sale. Gourmet food on offer to try and buy includes freshly baked breads, biscuits and cakes, olive oils, jams and chutneys. Event Manager, Nikki Griffith said cooking demonstrations will start from 11am with Jane Grover, then Brian Lizotte and Rebecca Jones from the Sustain Me team, who’ll show you how to love your leftovers! Mayor Jacqui Townsend praised the format of the event, saying it not only profiled local companies and suppliers, but promoted local volunteer organisations and sustainable living. “Sustainability Lane offers the popular native plant giveaway for Pittwater residents, eco-living stalls, a exhibit by the Coastal Environment Centre and a native animal display,” added Cr Townsend. “Pittwater Council’s Compliance staff will be available at Sustainability Lane, ready to answer all building queries or questions about your pool or spa fence. Cr Townsend said the Food & Wine Fair, which attracted over 7000 people last year, had grown to include the Volunteer Expo. “We have over 20 volunteer organisations who’ll be exhibiting at the fair. Even if you only have a spare couple of hours, there is something for everyone to get involved in,” said Cr Townsend. Live music from the 2 Shots Classic Rock Band and Desert Sea will play throughout the day and a range of kids entertainment will be available, including bungee tramp, climbing wall, rides and face painting. The winners of the Fair’s online competition will be drawn at 2pm. Entries will need to be placed in the barrel located in the marquee near the children’s playground prior to the draw. Winnererremy Bay Reserve is located at Mona Street, Mona Vale. Free bike racks will be available at the reserve. Parking is available at the Council car park adjacent to the reserve (pay and display) or at Pittwater High School for a small donation. Palm Beach’s Markets final Market Day before the Winter break will take place on Sunday May 25th in Governor Phillip Park, Palm Beach from 9am to 3pm. The BIG TOW - photograph by Jacqueline Andronicus, 2014. Sunday morning the 27th of April was cold on the outside but warm on the inside as 200 to 300 friends and supporters gathered on the western side of Palm Beach to watch a community attempt at a world record on water. 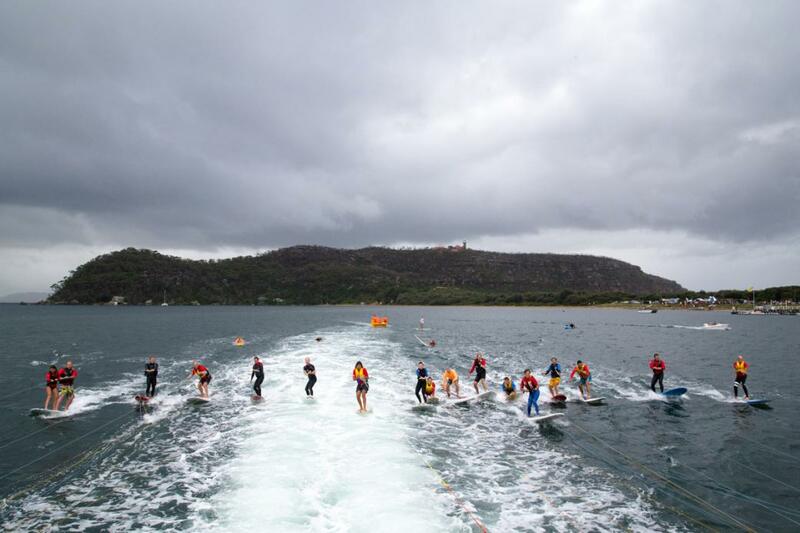 Palm Beach Longboarders Club was the organising body behind an attempt to get the most number of surfers ever towed behind a boat. The reason for the event and raffle was to raise community awareness of annual prostate screening via a blood test and to raise funds for Bruce and Nicole Shearer of Avalon, Bruce having been recently diagnosed with inoperable prostate cancer.